The conference responds to the observation that so far cooperation was mainly unidirectional, displaying European exhibitions in African museums, or aiming to instruct African institutions in fields such as conservation, restoration, or curating, thereby following a development approach. Only very occasionally does collaboration focus on the practical implementation of joint projects, taking into consideration expectations, goals and needs of all the stakeholders. In this conference with 25 speakers from Africa and Europe, past and current cooperation projects will be reviewed and discussed critically in order to learn from each other’s experiences and to develop new ideas for future endeavours. For full conference programme see here. Curator Christopher Spring has kindly offered to lead MEG members on a tour of the current BM South African art exhibition on Thursday 8 December at 11am. 12 places are available. To book your place on this tour please email Tony Eccles, MEG event officer, copying in MEG Chair Antonia Lovelace by the 7 December. We will meet by the main information desk in the Great Court of the British Museum at 10.45am. In this exhibition a diverse range of art from across the ages tells a story that stretches back 100,000 years. 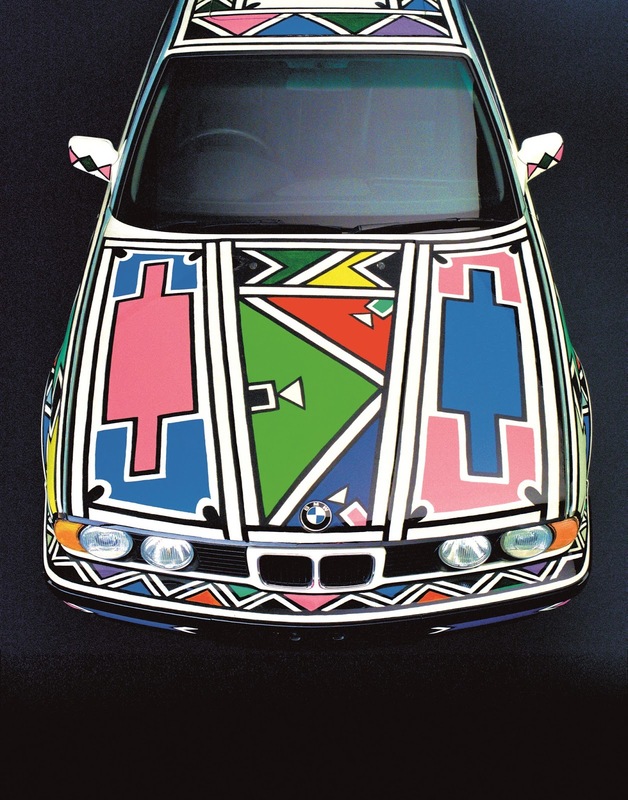 From rock art made by the country’s earliest peoples to works by South African artists at the forefront of contemporary art, the exhibition features beautiful and important objects, which illustrate South Africa’s rich history. 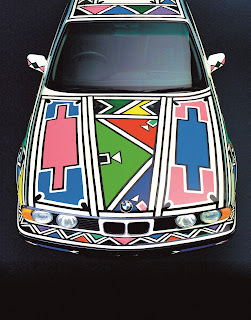 South Africa: the art of a nation is sponsored by Betsy and Jack Ryan and the logistics partner is IAG Cargo. The development of this exhibition was supported by a Jonathan Ruffer Curatorial Grant from the Art Fund. Pair of Sotho Gun Cartridge Dolls, Glass, brass and leather, South Africa, Late nineteenth Century. Photo copyright the Trustees of the British Museum. 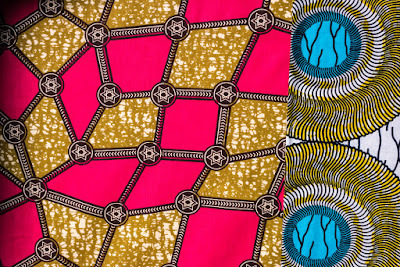 Over a hundred people attended the Creating African Fashion Histories conference at a Brighton Museum & Art Gallery venue on 4 November where fourteen speakers summarised their recent work on particular periods and places in African fashion with a strong accent on the contemporary. For example, Jody Benjamin from the University of California talked about 18th and 19th century cloth trades and costume trends from surviving prints and a few rare pieces, Christopher Richards of Brooklyn College focused on 1960s Ghana, and Juliet Gilbert from the University of Birmingham gave us the insights from her recent PhD on young seamstresses producing clothes for ‘the classy girl’ in Kalabar, Nigeria. Erica de Greef has worked in the field of fashion for many years in South Africa and has recently been examining de-colonisation possibilities in the combined South African fashion collections of the Cape Town museums now grouped together as IZIKO. She investigated men’s button decorated trousers as a particular example. Angela Jansen, a visiting researcher at the Victoria and Albert Museum, has combed Paris, and Casablanca for sources on 20th century Moroccan fashion history and shared her online findings of fabulous photographs from the 1970s post the more traditional work by Jean Besancenot. 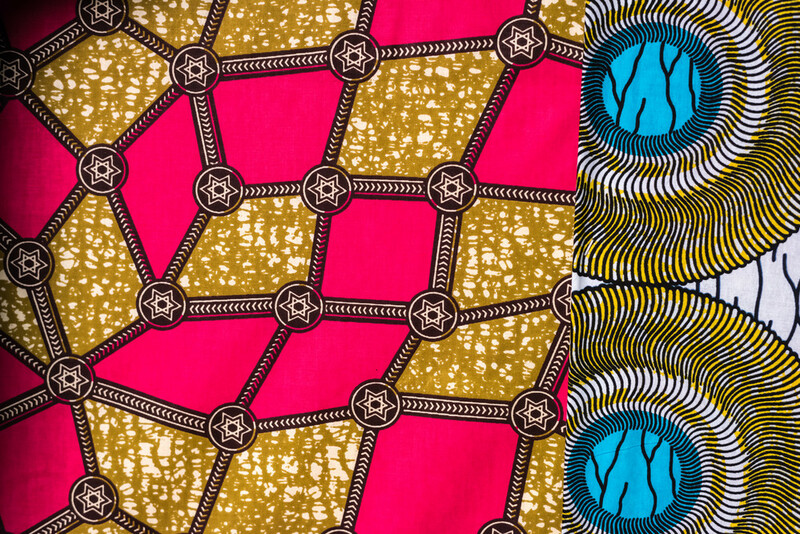 The final panel included the transformative fashion entrepreneur Avis Charles, a key organiser of African Fashion International in Johannesburg, the journalist Helen Jennings, and Moroccan scene experts Yoseph Ouechen and Mouna Belgrini. 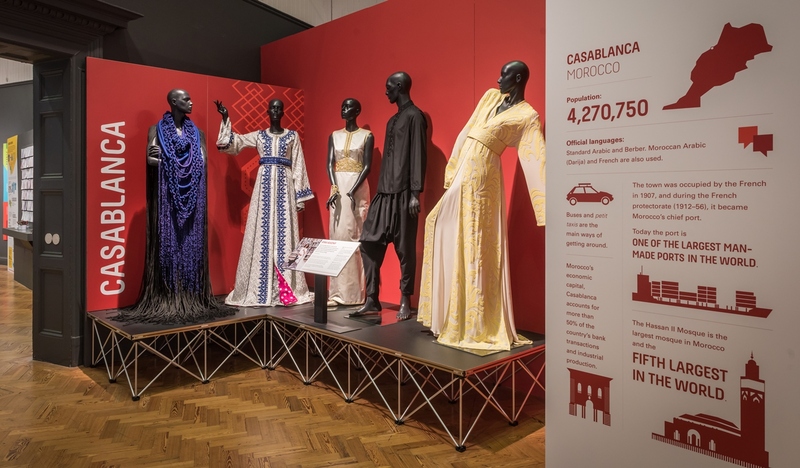 The day ended with an opportunity to view the Fashion Cities Africa exhibition which celebrates the current scene with contributions from designers from four cities: Nairobi, Casablanca, Lagos and Johannesburg. This exhibition is on until 8 January 2017. The designers from each city are introduced by a fashion expert ‘curator’, and information on the city and the fashion scene is provided on four sided pillars and by short films. There is also a handling corner with long swathes of fabric to touch and other interactives. The range of styles was impressive and mesmerising. The exhibition booklet is also photo rich and info-snappy, and intended to have a wider circulation than the exhibition itself which is likely to go on to the Tropenmuseum in Amsterdam. The international fares for many of the speakers were supported by the Sussex Africa Centre at the University of Sussex and the University of Brighton, both of which are key partners in the project. Moving on from the V&A’s Black Style exhibition co-curated by Carol Tulloch in 2004, Africa Remix at the South Bank Centre in 2005, and the ‘We Face Forward’ African art and music season in Manchester in 2012, this exhibition covers modern African fashion in a lot more detail and the structure of co-curation is broader and more reflective of the industry it portrays. 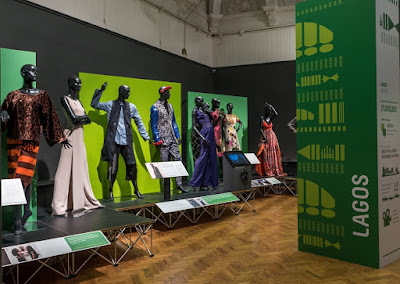 Several UK museums have small collections of post-independence African fashion amongst their holdings but this exhibition and the conference (which will result in a publication) is a stunning new bench mark. The beginning of October is a festive time for the lacemaking community of Bobowa in Southern Poland. Since 2000, delegates from European countries have been participating in the International Bobbin Lacemaking Festival organized by the local community. The event’s role is to celebrate lacemaking heritage. 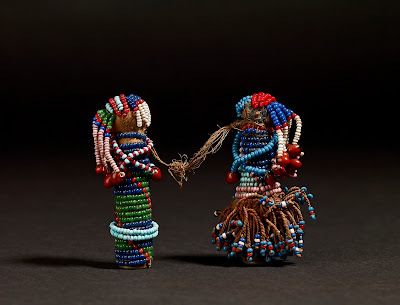 The festival exposes the diversity of patterns and skills, whilst for the Bobowa’s community is a distinctive moment of being recognized nationally and internationally linking lacemaking traditions through historical times and across geographical regions. Czech stall with motifs from fashion show 'Dream of the Sea' by Prague lacemakers. Photo by Beatra Jarema. Lacemaking, historically, was considered as a manual skilled job, linked with a cottage industry, and referring to the social class of workers: artisans, who were from rural areas working in a particular place as a collective, linked by the kinship bounds and belonging to particular region, with the generational transfer of labour skills and tools. This constructed tradition of labour in the region can be situated in the broader term of regional ‘heritage,’ where work obtained a particular timeless value, because of the persistence of labour forms, tools and materials, techniques and particular skills; due to their continuing work, women, who immersed lacemaking into their collective and individual biographies, allowed for the natural transfer of the skills into their environment. The festival is a result of historical processes commemorating women’s work, preserving regional heritage constructed by women’s labour and linking local craftswomen with other lacemaking communities. 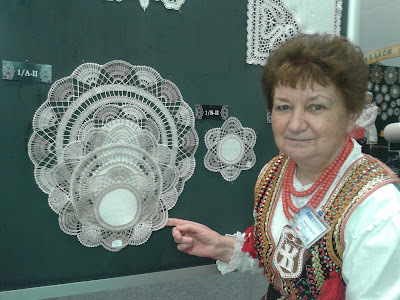 Jadwiga Wegorek from Cracow, Poland, with her award winning lace with at the Bobowa festival. Photo by Beatra Jarema. The 17th International Bobbin Lacemaking Festival was held on the 6th - 9th October, Poland, gathering 19 groups from 14 countries: Argentina, Austria, Belgium, Croatia, Czech Republic, England, Estonia, France, Holland, Hungary, Russia, Slovakia, which represented their laces and lacemaking skills on the stalls. The Programme included lacemaking fashion shows by Czech and Polish designers, lacemaking workshops for beginners, exhibition by Prague lacemakers Iva Proškova and Jitka Egermaierova von Lindern, and a lecture on laces in fine arts by textiles curator, Joanna Sielska. All events were underpinned by contemporary folk music from local bands, which emphasized the rural character of Bobowa’s town and rural origins of Bobowa’s lacemaking industry in the region. A few years ago the village of Bobowa became a small town with great ambition to be a centre for Uplands craft culture, meanwhile renovating its Post-Socialist landscape, providing modern investments and preserving local multicultural heritage expressed by architectural forms: mansion houses, churches and a synagogue. The festival is a great occasion for visitors to learn about the Uplands past and present, whilst also to understand the status of contemporary bobbin lace in the broader international context. Symbolic value of women’s work expressed by a monument of the lacemaker situated in Bobowa’s Main Square could also be studied in relation to the works awarded during the National Lacemaking Contest where Slavonic, Czech and Free Style laces demonstrated both dialogue with tradition and transformations of skills into modern forms. 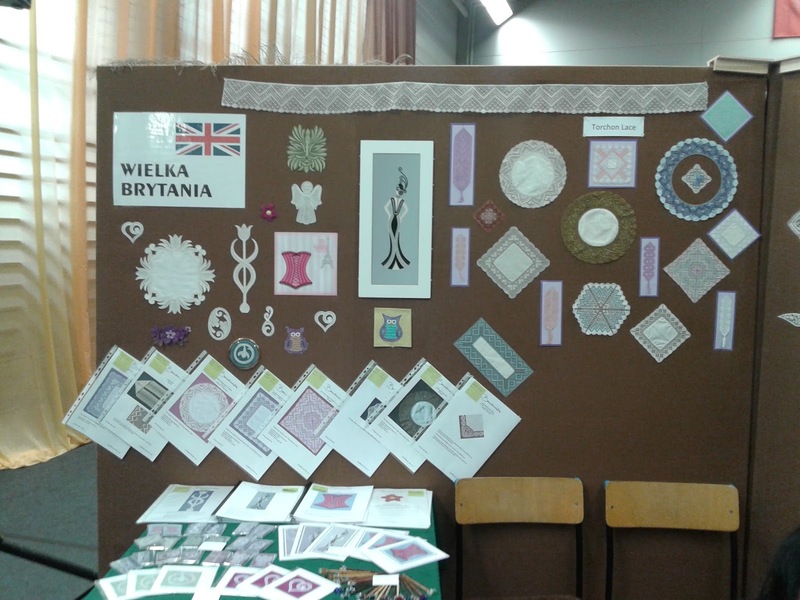 Examples of lace from the UK at the Bobowa festival Photo by Beatra Jarema. Great Britain’s lacemaking heritage was represented by lacemakers from Kent in England exhibiting originally designed or reconstructed laces in torchon, Bedfordshire lace and Buck point lace styles.